Hands Up If You Want Clean, Refreshed And Moisturised Hands! You’ll love our new Absinthe Purifying Hand Care Range, infused with refreshing and moisturising botanical ingredients with a mesmerizing fragrance. 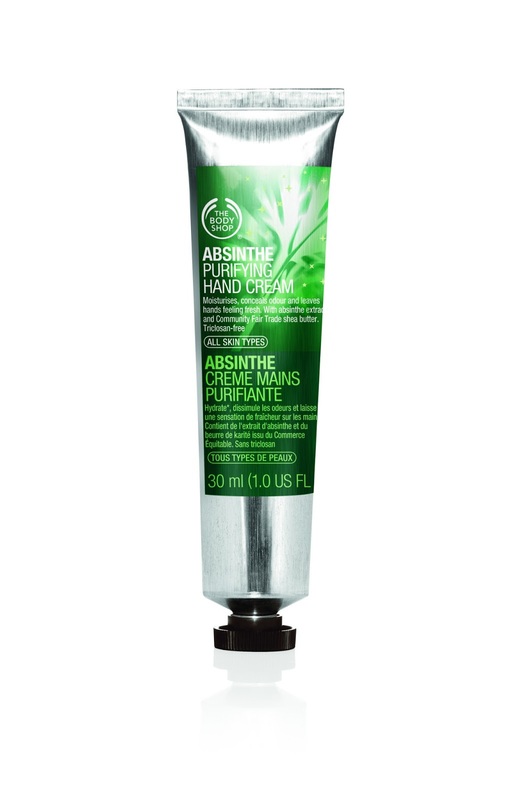 Our Absinthe Collection hydrates hands and leaves them smelling as good as they feel. Dryness, dirt, bad odours; your hands bear a lot every day. Indulge them with the new hand potions – Absinthe Purifying Hand Cream, Hand Butter and Hand Wash – with fresh, light textures and a mesmerising fragrance for a fabulously fresh sensation. Designed to leave hands feeling clean, refreshed and cared for, this hardworking hand care range features specially selected natural ingredients. 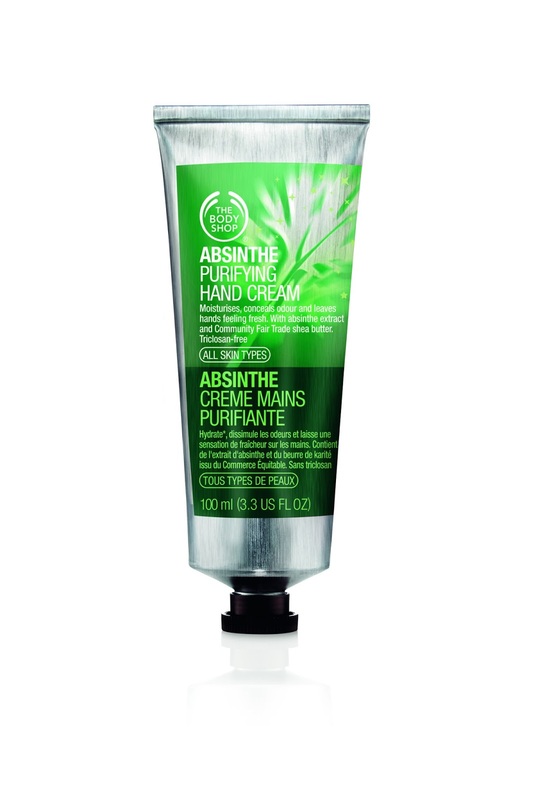 Our Absinthe Purifying Hand Care range benefits from an intriguing ingredient: Absinthe extract, otherwise known as wormwood or Artemisia absinthium. Shrub-like perennial, wormwood is a key ingredient in absinthe, the emerald-coloured alcoholic drink, helping to give the beverage its distinctive bitter taste. Known as the green fairy or l’atroce sorcière, absinthe has long captured the public’s imagination with its seductive air of danger. LEAVES HANDS FEELING CLEAN, REFRESHED AND CARED FOR! The Ancient Egyptians used wormwood as an antiseptic remedy whilst the Ancient Greeks claimed that the plant could counteract poison. First served in the Swiss town of Couvet in the late 18th century, early absinthe was hailed for its medicinal qualities. Favoured by legendary bohemians for its supposed hallucinatory properties, absinthe inspired countless works of art, from Degas’s ‘L’Absinthe’ to Picasso’s ‘Woman Drinking Absinthe’. Oscar Wilde said it made him feel as though tulips were growing on his legs. And it’s believed that Vincent Van Gogh was addicted to the drink. Publically associated with social disorder, absinthe was banned across much of 20th century Europe and the USA. Nowadays, absinthe is enjoying are vival across most of the world. Chic cocktail clubs and speakeasy bars from Europe to Asia are serving classic absinthe cocktails to discerning customers looking for a refreshing change. 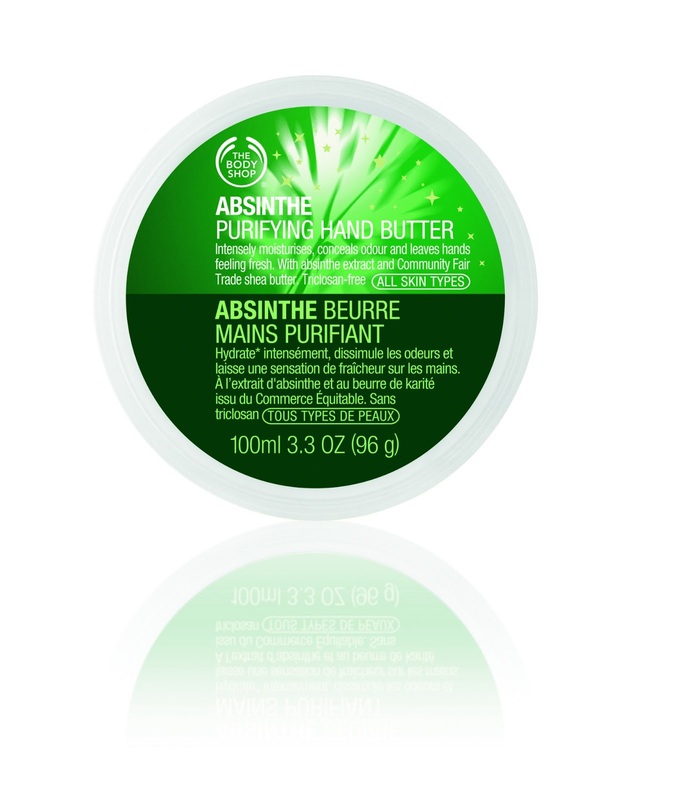 Our new Absinthe Purifying Hand Care range is designed to banish dry skin and bad odours. Delight in the lovely light textures. Be captivated by the mesmerising fragrance. And relish the fabulously fresh sensation. Hands are left feeling clean, refreshed and beautifully moisturised. Good news: all the products in the range are triclosan – free. And, best of all, the collection is suitable for all skin types, so everyone can become entranced by the purifying feel of Absinthe! Give hands a blissful treat with this intensely moisturising hand butter with a luxurious texture that simply melts into skin. Say goodbye to dry hands and hello to wonderfully fresh-feeling hands. Make this lusciously light and fragrant hand cream your new handbag essential. Apply whenever hands need a shot of fresh moisture; to conceal bad odours; or when you crave a feeling of refreshment. Dirt ? Banished! Bad odours? No longer! Enjoy clean, moisturised and refreshed hands with our new Purifying Hand Wash. Lather up to enjoy the fabulously fragrant bubbles. The Absinthe Purifying Hand Care range contains Community Fair Trade ingredients including Community Fair Trade Shea butter, which comes from Ghana. Local women hand-harvest shea nuts, dry them in the sun and crack them to extract the kernels. These are roasted and ground into a paste to make the butter. Our trade with the Tungteiya Women’s Shea Butter Association has helped to fund three medical centres and 10 nursery schools. We make our products with love and care. We source some of the finest raw ingredients from thefour corners of the globe. We harness the skills of artisan farmers and add our expertise to create effective products that are wonderful to use.